There are many that feel that being certified in wine knowledge is a load of bull. Then there are those that are certified that believe the CSW is a joke. I'm going to explain to you why neither case is true. You don't need a certification to have a superior knowledge of wine or to be in the business. Kevin Zraly is certified in squat and that guy is a hero in the wine industry. But you do need to gain the education, and certifications provide you with the tools to get it. That is the key to the value of wine certification. It's not just the letters after your name. It's not to show "look what I can do, look how special I am" although that's fun too. It's about what you learned along the way. Even if you fail or never take the actual test, the education is invaluable. One exception to that rule might be the Master Sommelier. These guys already know everything they need to know to make some impressive coin in the industry. But they still sacrifice years and even decades of their lives obsessing every minute of every day over appellations and rules and smells and vintages to earn that certification, often failing year after year. Many Advanced Sommeliers don't even try to get it because they'd like to see their family and keep their marriage intact. It's the hardest test in the world, regardless of the topic, and the drive is the title. And who could blame them? It's an enormously impressive accomplishment to be one of only 219 Master Sommelier's in the world. I'm completely jealous of their knowledge and admire their ambition. But you know what? It's totally cool that I'm a Certified Specialist of Wine. What's even way cooler is that I can tell a customer that Franciacorta can't start its lees aging until February if that pops up in a conversation. Could I have learned that on my own? Sure. Would I remember that if I didn't have to memorize a whole book to pass a test? Hell no. That's a piece of info you might decide isn't important unless it could be the difference between passing and failing. Yes, I just said that I'm a CSW. A proud one. But what is that? It's a certification awarded by the Society of Wine Educators for passing a rigorous test designed for those with a vast knowledge of wine. Remember that underlined part. It's the first of two levels that the SWE offers for wine, but it's about the equivalent of the mid-level in other certification organizations with various tiers. In my opinion it's the ideal education for those in the retail and distribution end of the business, as it focuses solely on academic knowledge / theory. 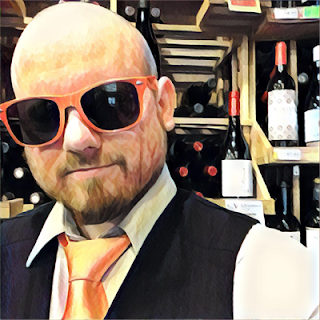 A sommelier on the other hand is somebody that serves wine, so naturally the various sommelier certification organizations and tiers are the ideal educational route for those in the restaurant business. They include the service and tasting portions needed for being, ya know, an actual sommelier. There's about a 0.1% chance that I will ever work in the restaurant industry so why the heck would I want a distraction into that stuff? Cram my brain full of the information I need to know to better serve my customers, please. So now on with the point of this article: CSW is scoffed at by some of those in the other certification systems when used as a post-nominal. I'm fully convinced it's simply because of the name, its American headquarters and time spent on the test. Certified Specialist of Wine doesn't sound fancy like Sommelier. It's not internationally recognized like WSET. It takes one hour to take the actual test and I don't have to fly to Florida. So it must be a knock-off wannabe certification, right? Wrong. 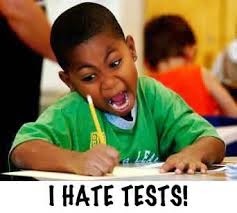 That test is no joke. You have one hour to answer a hundred questions that could come from anywhere in the 300 page study guide. And I mean anywhere. The top 5 red grapes of Austria, how long the minimum leese contact is for Gran Reserva Cava, the difference between Guyot and Cordon pruning, Santa-this is within Santa-that in the Central Coast, the year the French settled in Franschhoek, yadda yadda yadda. And you don't learn these things in a tier system. There's one test for, as I stated earlier, a vast knowledge of wine. So that book must be memorized as much as you can possibly handle because you have absolutely no idea what you will be expected to know. The one I took was pretty heavy with New Zealand questions. And by heavy, I mean three. Over half of the people that think they're ready to pass the CSW will walk out failing a multiple-choice test. You need to get 75% right to pass, more than the other certifications considered to be on the same level, and there's only a 45% pass rate, much less than the others. That's right: Over half of the people that think they're ready to pass the CSW will walk out failing a multiple-choice test. That includes many that are already certified elsewhere. The CSW is also an earn-on-the-job requirement for certain positions in alcohol distribution companies, and some of those employees were just promoted from being a merchandiser. Chances are what they know about wine is pretty minimal, and even after plenty of time studying they're almost guaranteed to fail on the first try... just like the majority of people on their first try. Which is also why those companies give you multiple chances. Some even offer unlimited. Which is nuts. But it also speaks to how valuable the study is, and they're well aware of that. The more you know about your product the better you are at pushing it. All in all, the low pass rate is probably because it's been self-taught (until now). There hasn't been anybody teaching a class that guides you through this and keeps your learning on a schedule, or a packet with a plan that comes in the mail like WSET or the first some-odd tiers of the Somm organizations. The teaching ability of an instructor and the visual / hands-on experience that kicks things off elsewhere is simply not a factor here. And an offseason where you can take a break from your studies? Pffft. Please. There's just one book filled with anything you could possibly need to know about wine, and you have one year after signing up to take one test that covers it all. And you need to learn it all if you want to guarantee a passing grade, without any plan other than your own. It's always been entirely up to your abilities and your own determination and ambition, along with a realistic understanding of how you learn and retain information, to do this on your own time in your own home. Every certification requires tremendous dedication but the CSW, above all of the mid-level ones, practices nature over nurture. There's no send off into adulthood. You've metaphorically been thrown to the wolves from the very beginning like a prepubescent Leonidas. Thus, a person with a CSW post-nominal earned that title and nobody deserves any credit for it except for themselves. That alone deserves respect. And the material that you're required to study and know deserves as much respect as other certifications that are considered to be at a higher level. So the next time you see somebody with a CSW at the end of their name, see it as a well earned title instead of an undeserved chest-puffing. Earlier I put until now in parentheses when I said the test is self-taught and that's because the Society of Wine Educators has just started offering online preparation classes to SWE members, which is totally awesome. But that's if you can get in because the classes get booked super-fast. 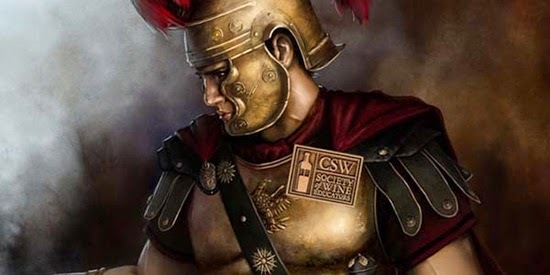 I worked incredibly hard to ace that CSW test with a score of 93 and you can actually read proof of that hard work in my article The CSW Experience (http://www.thewinestalker.net/2014/04/the-csw-experience.html). When I started studying I thought I had a good grasp of wine knowledge and it turned out that I knew nothing. So I'm grateful every day for the challenge the Society of Wine Educators gave me. 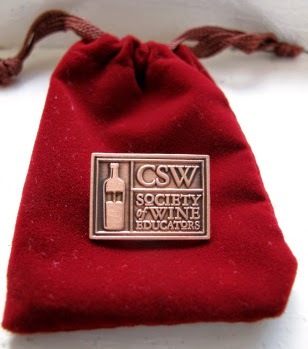 I will be a loyal supporter of theirs until the day I die, and I'm going for the CSS (Certified Specialist of Spirits) in June or July before I start studying for the CWE (Certified Wine Educator). I also have every intention of becoming a paid member soon. I'm extremely proud of my CSW effort and I tack those letters on at the end of my name at every opportunity... unless I'm being so foulmouthed that the Society would kick me out if I attach them to it. And I do swear. A lot. I'm surprised I've made it to the end of this article without dropping an F bomb. You should be proud of me for that, at the very least. Congrats on your CSW! I worked hard for my CSW, and know that you did too! We should both be proud! LOVE this post! Spotted it on Facebook, as someone I know in the biz posted it. It was perfect for me to share on my page (and I did) because I often have people ask me if my CSW means that I'm a Sommelier. Uh, no, it doesn't. LOL! So, I usually have to take a few minutes and explain the difference. Happily, a few friends DID read and comment. Whew! A few down…SO many more to go. But that's ok. It goes hand-in-hand with education (of wine AND of the certification). Find here https://pro-essay-writer.com/blog/study-for-exams.html lots of interesting articles on the topics of education. Hi Joey, I loved this article and I love your writing style. I'm in the wine industry, trying to decide what further education I want to pursue. WSET, CSW, etc. I found this article to be very helpful, thank you.